The National Council for Behavioral Health states that trauma is a near universal experience of individuals with behavioral health problems. According to the U.S. Department of Health and Human Services Office on Women’s Health, 55% -99% of women in substance use treatment and 85% – 95% of women in the public mental health system report a history of trauma, with the abuse most commonly having occurred in childhood. The Adverse Childhood Experiences study conducted by the Centers for Disease Control and Prevention and Kaiser Permanente, is one of the largest investigations ever conducted to access associations between childhood maltreatment and later-life health and wellbeing. 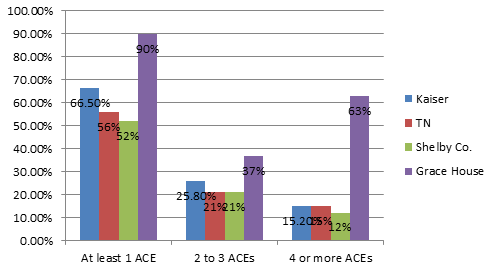 Almost two-thirds of the study participants reported at least one adverse childhood experience of physical or sexual abuse, neglect, or family dysfunction, and more than one of five reported three or more such experiences. A survey was conducted at Grace House of the clients who were enrolled in the program on May 15, 2016. Below is the outcome of that survey, along with a comparison to state wide survey results. 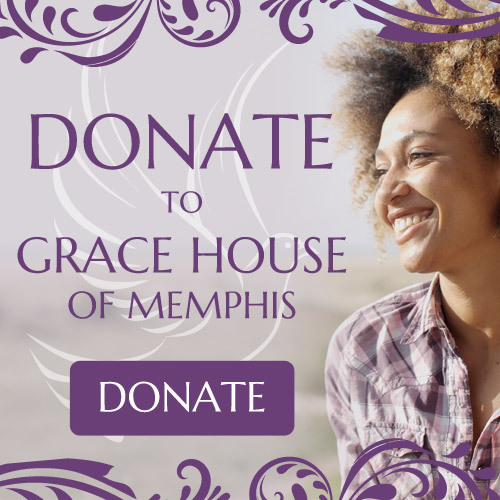 The study also shows that 90% of Grace House clients had at least 1 Adverse Childhood Experience (ACE), while 63% had 4 or more Adverse Childhood Experiences (ACEs). These results reflect the importance of not just offering trauma therapy, but of have a trauma informed culture within the agency that is responsive to those issues in all that we do.